Born in 1942, Gijs Bakker studied industrial design and jewellery in Amsterdam and Stockholm. 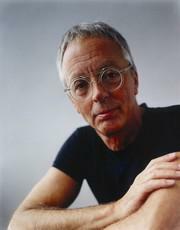 As a designer, he worked for several companies like Polaroid, Hema, van Kempen en Begeer, Artifort. Between 1992 and 2002, he was advisor for the Dutch ceramic factory Cor Unum. He has been teaching for 20 years, at the design Academy of Eindhoven.